Barron County Wi. Web Page. 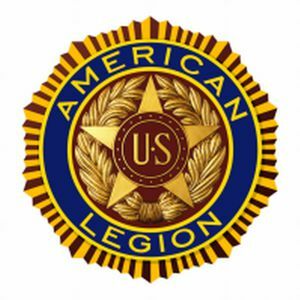 Check out our new Legion Flag! We are part of the 10th District. County Commander; Roland "Cal" Briggs. 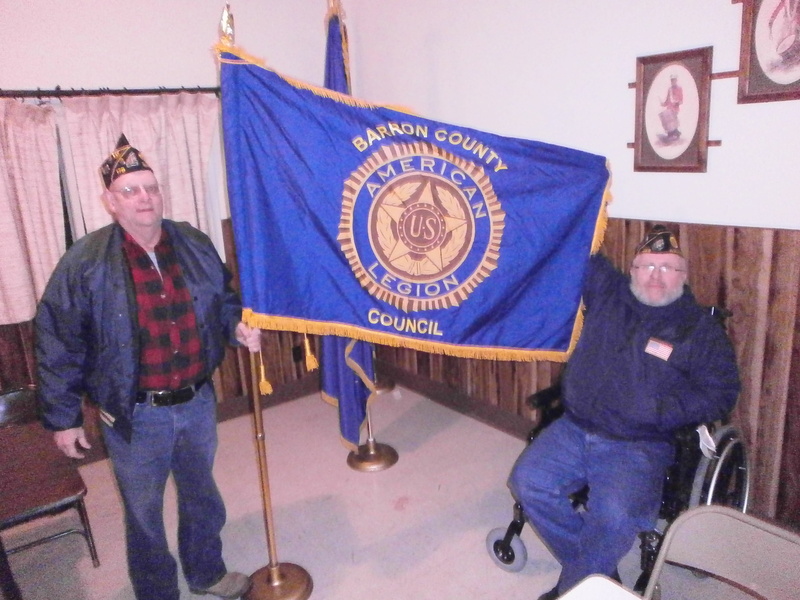 We have a total of 745 members in Barron County. All Veterans Picnic in Wisconsin. It was held on Sep 9, 2012 at Anderson Park in Barron Wisconsin. This picnic was at Southworth Park Sep 8, 2013 in Chetek Wisconsin. The 2014 Picnic was at the Pioneer Museum outside of Cameron. We had our 14th All Veterans County Picnic. The location was Moon Lake Park in Rice Lake on Aug 30, 2015. It will remain here for every year to come. All Veterans are invited. The date was September 18th, 2016. This year in place of the Brats we had Grilled Chicken. Yum Yum! The date was September 17th, 2017. Date was Sept 16th, 2018. *Rice Lake continues with their monthly activities. Thay have Burgers, Wings and Shrimp on the 4th Wed every month. And their Breakfast Buffet on the 1st Sunday of every month. HUNGRY?. *We now have an All Barron County Color Guard. Check out our Photos! Here are some pictures of the Haugen Fun Days Color Guard in the Parade. Post 888 of Barron in hosting the Moving Wall at Anderson Park. Go to www.amvetspost888.org for more information and lots of pictures. Post Officers of Barron County. County President : Mary Townsend. 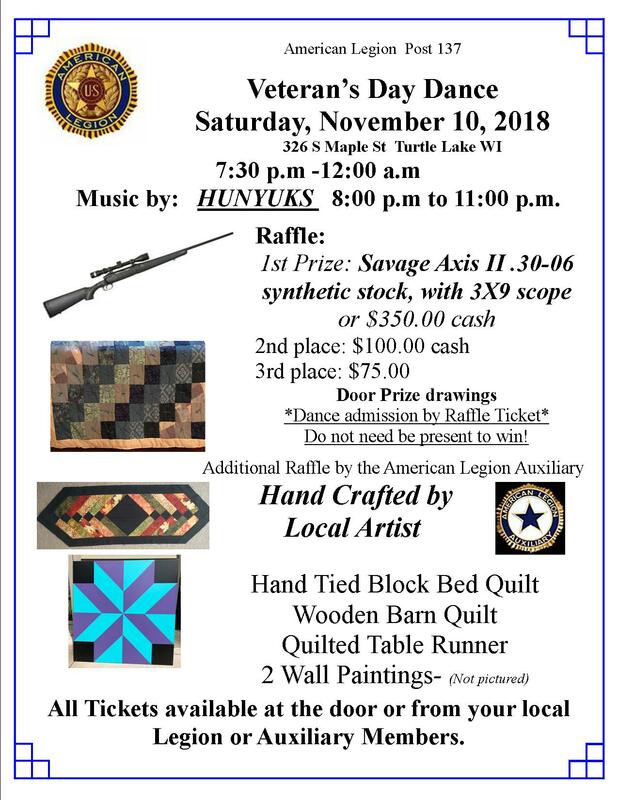 Check below for the flyer for Turtle Lakes Veterans Dance.